On Friday, June 22nd, 2018, the Catholic Church welcomed 7 new priests, ordained by Bishop Bernard Tissier de Mallerais of the Society of Saint Pius at their new Seminary in Dillwyn, Virginia. 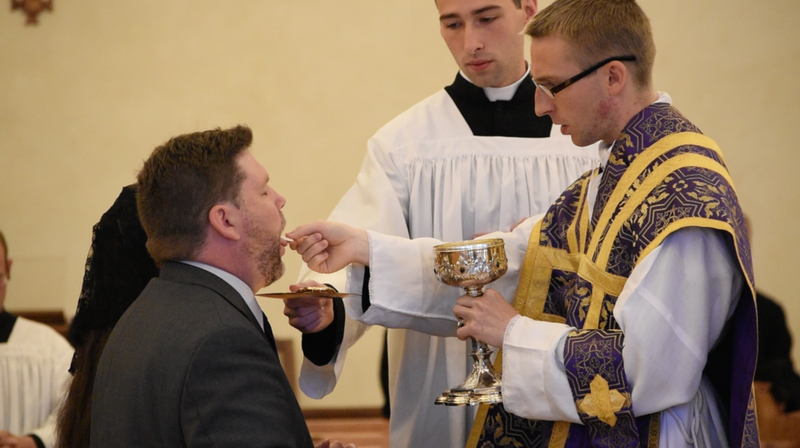 Below are photographs of their ordination, as well as photos from the first masses of Fr. Sheahan, Fr. Fabula and Father O'Hart. In 1986 Father (now Bishop) Williamson who was rector of Saint Thomas Aquinas Seminary, was interviewed by Fr. Bourmaud along with various seminarians in attendance at the time. This vintage documentary was filmed in Ridgefield, Connecticut, where Saint Thomas Aquinas Seminary was located until 1988. 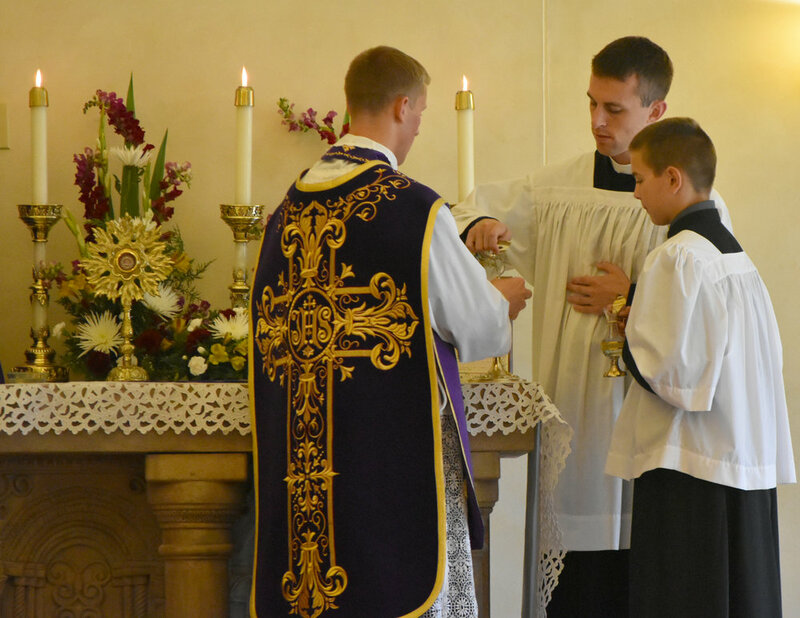 The seminary has since moved to Dillwyn, Virginia, where a new seminary has been erected to accommodate the large number of vocations growing out of the Traditional Catholic Communities in North America. Details on the new seminary can be found at www.STAS.org. The buildings you see on this video, in Ridgefield, Connecticut, are still in use by the SSPX, as Saint Ignatius Retreat House, and has a growing chapel there under the patronage of Christ the King. At Saint Ignatius Retreat House, there are retreats for men and women held every month, and it is a great way to refocus your life, with the Traditional Catholic faith as your bedrock. To learn more about Saint Ignatius Retreat House, visit www.SSPXRidgefield.com. In the wake of the devastation of the Second Vatican Council, one bishop, Archbishop Marcel LeFebvre, stood up against these changes and held fast to the Catholic Faith of all time. In 1970, Archbishop LeFebvre founded the Society of Saint Pius X (SSPX) as a religious order, operating within the Catholic Church, with provisional approbation from +François Charrière, Bishop of Lausanne, Geneva and Fribourg. 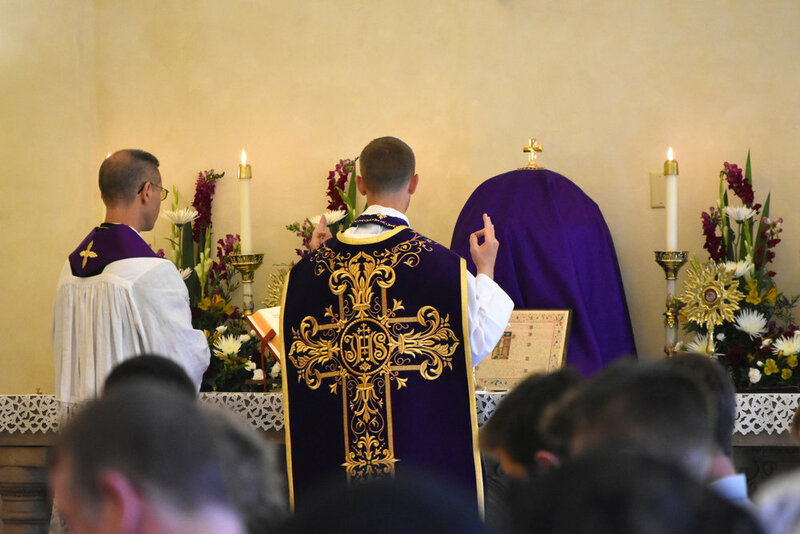 The provisional status of the SSPX was rescinded by Bishop Charrière's successor, Bishop Pierre Mamie, and Archbishop LeFebvre was unable to appeal this un-just decision. 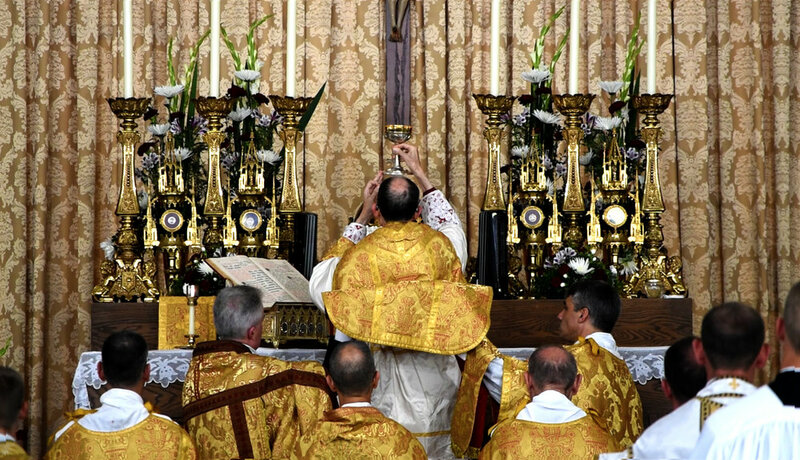 Although some say that the SSPX is in an "irregular" canonical position, it is evident that the Society is Catholic, teaches the true doctrine of the Catholic Church, and celebrates the Mass of All time as approved by the Church. 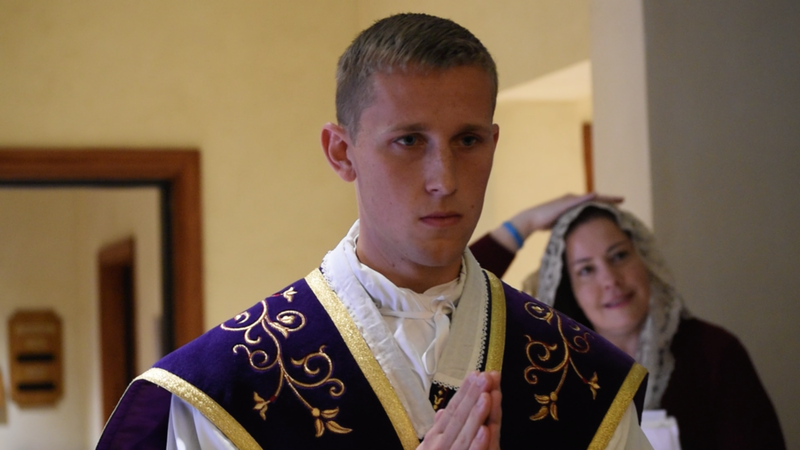 More details on the Society can be found at www.SSPX.org Now, more than ever, it is more and more evident that Archbishop LeFebvre was right, and that the church (or at least her leaders) has gone astray. Pope Francis has recently denied the existence of Hell, and been presented with "Dubia" about his apostolic exhortation "Amoris Laetitia," and hundreds of other theologians have signed a "Correction Filialis" which accuses the Pope of allowing the propogation of heresy. People like Jesuit priest Father James Martin run around the church actively normalizing the "LGBT Community," and encouraging the destruction of the family, and the USCCB has been caught funding Pro-LGBT and Pro-Abortion left-wing activist groups. We need faithful groups like the SSPX now, more than ever during this crisis in the world and in the Church.